In the gripping sequel to The City's Son, Pen returns to London-Under-Glass when her mirror sister - and biggest secret - is abducted. Perfect for fans of Neil Gaiman's Neverwhere. Pen's life is all about secrets: the secret of the city's spirits, deities and monsters that live just beyond notice, the secret of how she got the intricate scars that disfigure her so cruelly - and the most closely guarded secret of all: Parva, her mirror-sister, forged from her reflection in a school bathroom mirror and the only person who really understands her. When Parva is abducted, Pen is forced to make a terrible bargain for the means to track her down, for in London-Under-Glass, looks are currency, and Pen's scars make her a rare and valuable commodity. Kept company by the pretty and fierce steeplejill, Espel, Pen isn't completely alone, but some in the reflected city will do anything to keep her from the secret of what happened to the sister who shared her face. 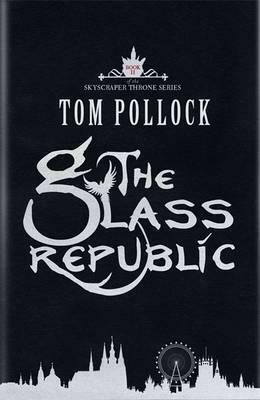 The Glass Republic is the gripping sequel to The City's Son, and the second book of The Skyscraper Throne trilogy.